Our Vintage Fashion Inspiration of the Week is the Japanese Band Pizzicato Five. I just lost about 2 hours of serious craft time drooling over the styles sported by their lovely singer Nomiya Maki, and trying to decide which catchy tune to dedicate to my DIY Couture Winner. 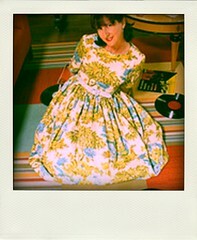 Double click on the video and go to YouTube and listen to happy Japanese pop and drool over vintage fashion eye candy. And the books are all yours. Email Me your address and they will be in your hands shortly! 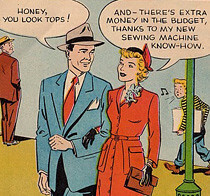 I'm off to do some chores and some sewing so I can come back tomorrow with some Betty Generated Fashion. I have my fingers crossed. Summer is so distracting!